Visit us at our site at Hoath, Near Canterbury Kent, where we have our own club facilities of classroom, lecture room and small shop. 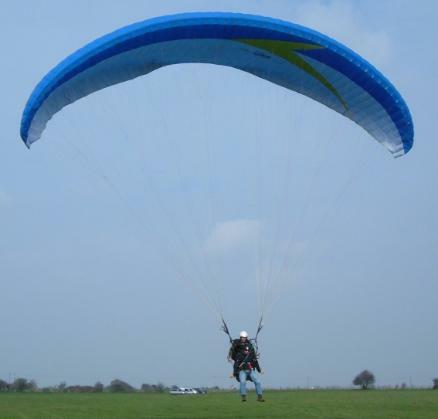 We can also arrange for repairs to your equipment whether it be Paraglider, Parachute, Parasail, Kite or Paramotor. We have a large towing field for Parascending, Tow Paragliding and gentle training slopes in all directions for those first gentle flights. Our Shop and Training facilities are open most weekends and mid week by arrangement, however one must understand that our sports are very weather dependent. Overnight on-site camping for Tents, Campervans, RV’s and Caravans can be catered for. Training facilities include a Parachute Landing Fall (PLF) Platform to practise Landing Rolls, a GALTWIST specialised Paramotor ground handling training facility and one of the few Dual Paramotor training facilities in the United Kingdom – allowing your first tandem flights with an instructor, under power, from one of our club Paramotor Tandem Instructors, this will be prior to your first Solo Paramotor flight over the flatlands of Chislet, with full ground to air radio communications – the souths premiere training Site. 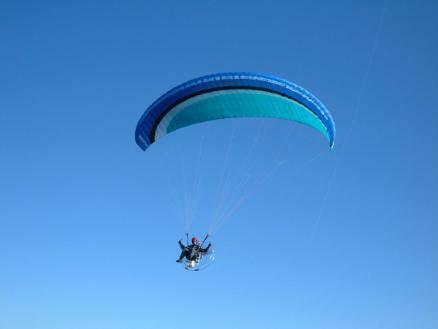 For all tandem flights – 1:1 radio intercom is used, and you can call us on the allocated C.A.A Microlight frequency. We use right hand circuits – with certain restrictions on nearby flying. Most weekends in the summer you can come and stay and fly. We also attend numerous flyins nationwide and gatherings as a club.